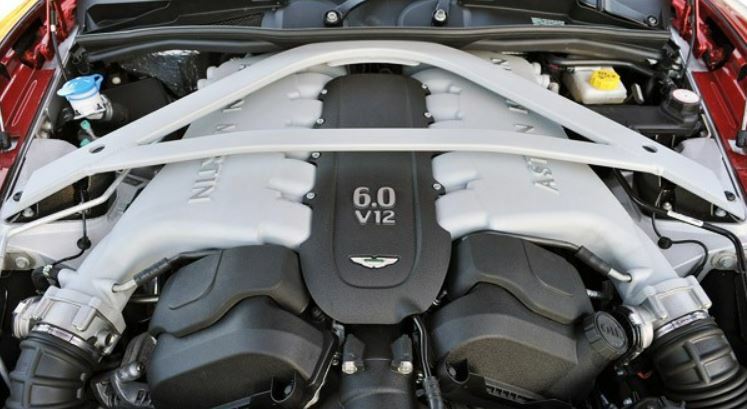 Under the hood (bonnet) of the DB9 are three structural cross braces linking the strut towers and the firewall in a triangle (natures strongest shape). These braces perform a vital role in the cars handling – stiffening the front of the chassis. If you are about to do some service work like changing your coil packs, spark plugs, PCV valves or even the windshield washer bottle filler neck you may need to remove one or all of these braces. In later model years you can see from this photo that they changed from three individual pieces making up the brace to a single one-piece triangular brace (also beautiful). My instructions below are for my early model car. Removing them should take less than 10 minutes. Warning: You don’t want to remove them if the car is in some position where the chassis is twisting. For example, if you have the car jacked up with just the left front wheel off the ground, that is inducing a flex stress into the body of the car. If you removed the braces now, the chassis might flex ever so slightly. If you reinstalled the braces with the chassis still in this slightly twisted flexed position you’d be locking the flex in forever. My suggestion is to have the car on level ground, or on a ramp or hoist with all wheels evenly supported, and to NOT reinstall the braces until the car is resting evenly back on level ground. Start the process by protecting your fenders(wings). Check out my other post on this. You’ll be using tools and removing large pieces of aluminum that can scratch up your paint in a heartbeat. Remove the large brace between the two suspension towers. Remove the four bolts using the T50 Torx bit. Lift the brace away and set aside someplace where the smooth finish won’t be scratched. Remove each of the two diagonal braces next by removing the same four bolts in each, only this time you may need to use the 15mm wrench to hold the underside nuts as needed along the bulkhead. Store these away. 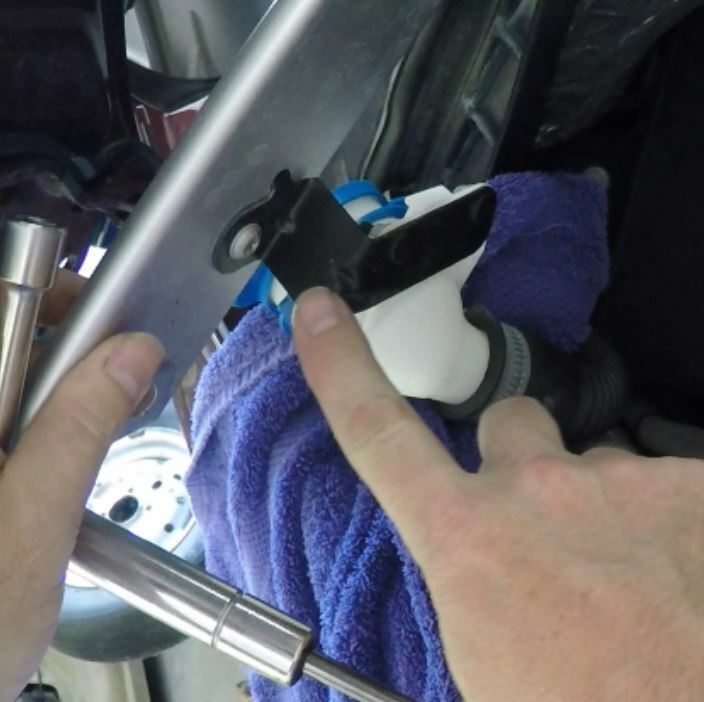 When you remove the right side brace, you will find the windshield washer filler neck is connected to it with a bracket. Remove the single T30 Torx bolt. I will cover reinstalling the braces including maintenance to the bolts and the torque settings in another post. Incorrectly re-installed braces can lead to chassis creaking, so check out the post. Here is a short video showing the process of removing them. Thanks for another great blog post on the job. I’m currently doing this job, so I could with some help, it’s the PCV valves, I purchased the motorcraft ones and have installed them today, The old valves were very difficult to remove, do you know if the larger pipe connection is glued in as there is no hose clamp as there is a hose clamp on the smaller hose? Did you use any glue on the larger pipe? I was thinking about putting a jubilee clip on the larger pipe, although the PCV valve did have a tight fit on the pipe, but don’t want the valves to blow out when I start up the engine. another question, did you use some petroleum grease like Vaseline on the new fuel injector rubber seals before you installed them? Thanks for you time, just need some advise as I’m currently doing this job. Hi Paul. Little late on seeing this today, you probably resolved it somehow. I believe that portion of the PCV system should be under a small amount of vacuum, so I don’t think there is much chance of it blowing apart as long as the joint is snug. The line to the Air/Oil separator upstream is just push fit and probably even looser than the PCV connection you describe. I shot a camera phone video for you just showing the assembly I used. Probably not the solution, but here’s what I have… Just a link to the raw video in my Dropbox account…. Thanks Steve, so just to confirm you didn’t use any glue when you reassembled the PCV valves? Plus did you use any Vaseline on the new fuel injector rubber O-rings on reassembly? I wetted each injector o-ring just slightly with clean engine oil (dipped my finger in a cap of oil, the used my finger to oil the o-rings). In my article I will point out that there are two ways to get the PCV, individually in a bag tht you install as you are, and preinstalled in the entire assembly you saw in my quicky video (for those that want to change all the hoses and stuff too). I went the latter way, so I am eager to here how your experience ends up. 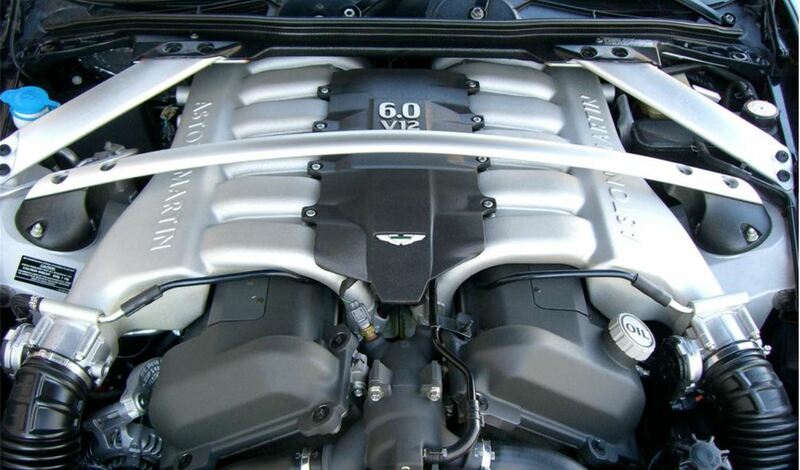 Good luck and keep at it…..
I’ve completed the job and although the engine started ok and ran ok for about 20 minutes as soon as I drove the car I think it went into Limp mode with the engine light and warning triangle so I drove it home. I have managed to get the OBDII codes and they are P0113, P0174, P0443, P0460, & P0602, Can you tell me what codes your car had after the job which you reset using your OBDII reader? I’ve checked all the connections and hoses and all looks good, very confusing! Hi Steve, today I cleared the codes and the cars running great, I just need to do the rundown procedure later. So that’s great news, keep up the blogs, i’ll be reading all of them and thanks for all your help. Good to hear. Mine ran like crap immediately after starting. I had a nearly dead battery issue too somehow, but after a recharge and a code clear, ran perfect. Maybe just the cars way of waking up from a long nap (cranky).